There are no “organized” rides at WeSTOC. 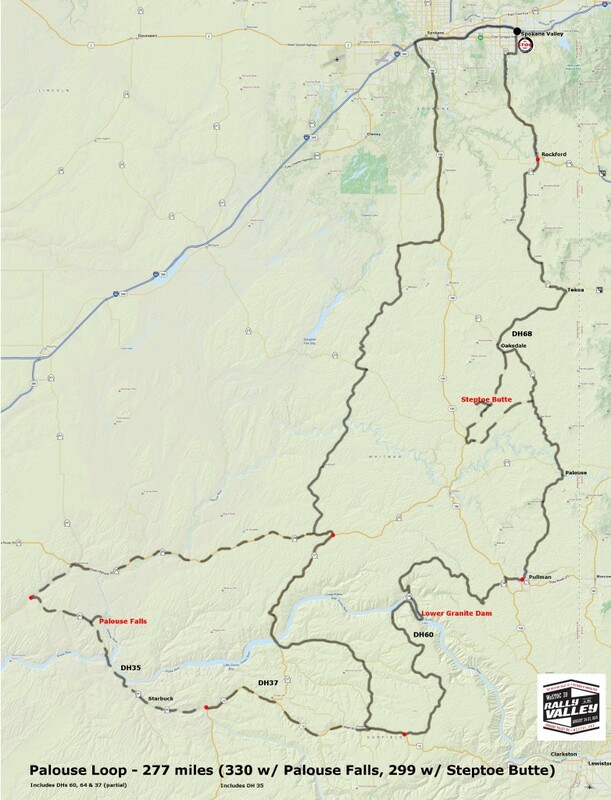 The “recommended” rides listed here are based on roads featured in Destination Highways Washington and from local rider feedback. We recommend you read these two documents written by Nick Ienatsch. ‘The Pace’ and ‘Pace Yourself’ are both good reads on riding techniques for single and group riding. 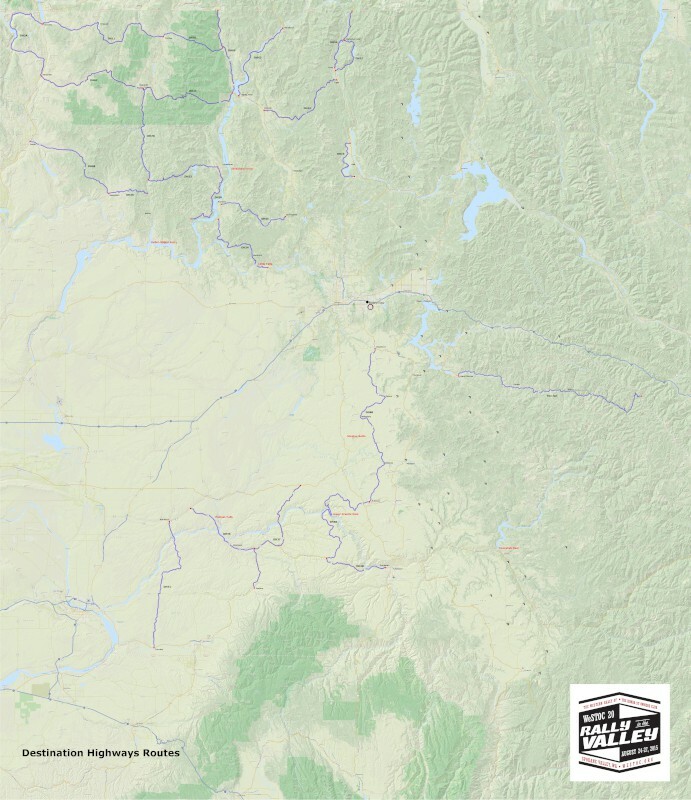 You can click on the maps below to see them on a single page, and then click again to see an enlarged version. Large, printed versions of these maps will be on display at WeSTOC 20 in the map room. 7/27/2015 – Version 2.0 of the rides GDB & GPX files. Includes restaurant, scenic waypoints and the Geocaches. 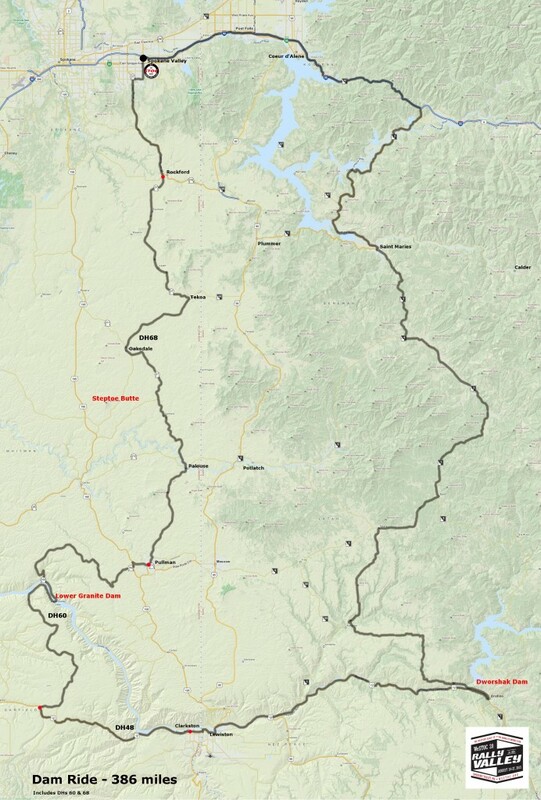 Destination Highways routes, (DHs), in the vicinity of WeSTOC 20. 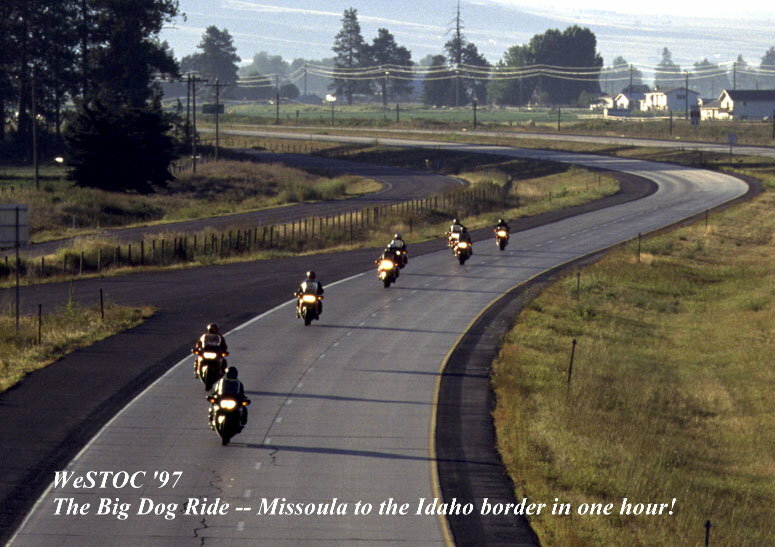 410 miles – Big Dog Ride – 10 hrs 30 mins – Includes DHs 73, 12, 54, 14, 13, 70, 23 & 24. Click here for more details on this ride. 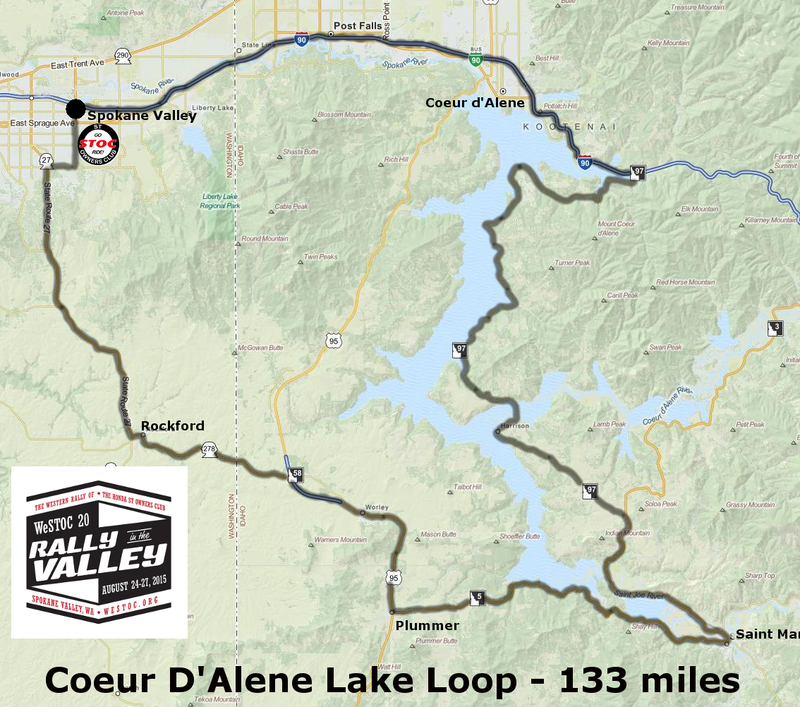 386 miles – Dam Ride – 8 hrs 50 mins – Includes DHs 68 & 60. Click here for more details on this ride. 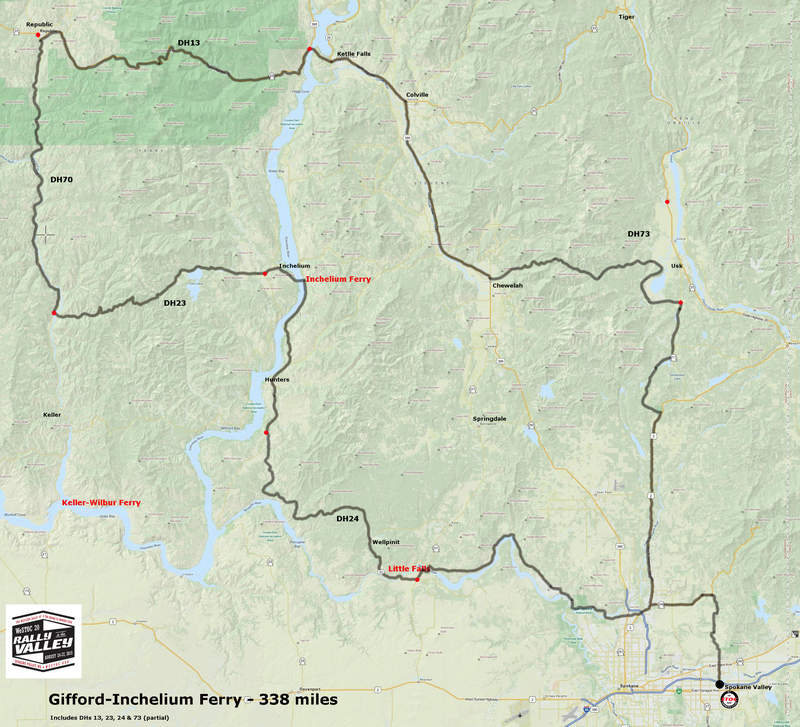 338 miles – Gifford-Inchelium Ferry Ride – 8 hrs 45 mins – Includes DHs 13, 23, 24 & 73 – STimpa route. Click here for more details on this ride. 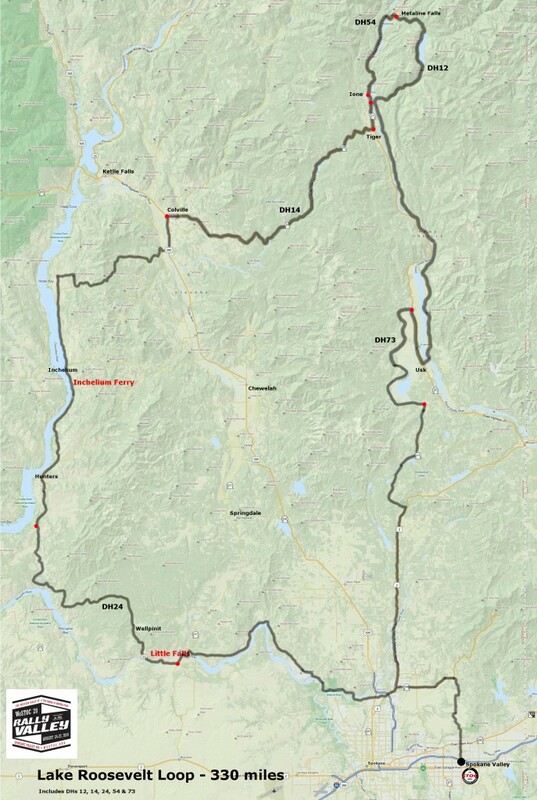 Dale Larson route. Click here for more details on this ride. 330 miles – Lake Roosevelt Loop – 8 hrs 45 mins – Includes DHs 73, 12, 54, 14 & 24. 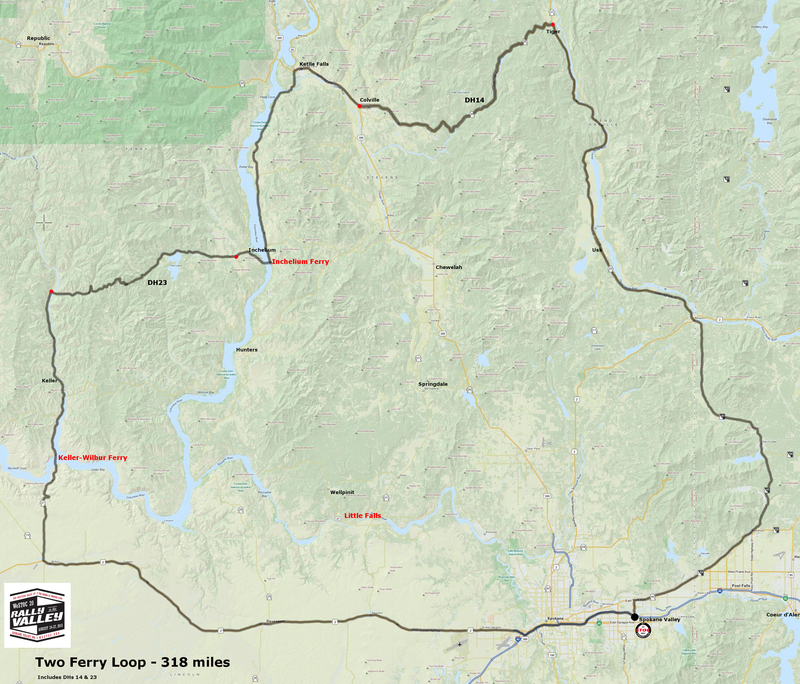 318 miles – Two Ferry Loop – 7 hrs – STimpa route – Includes DHs 14 & 23. 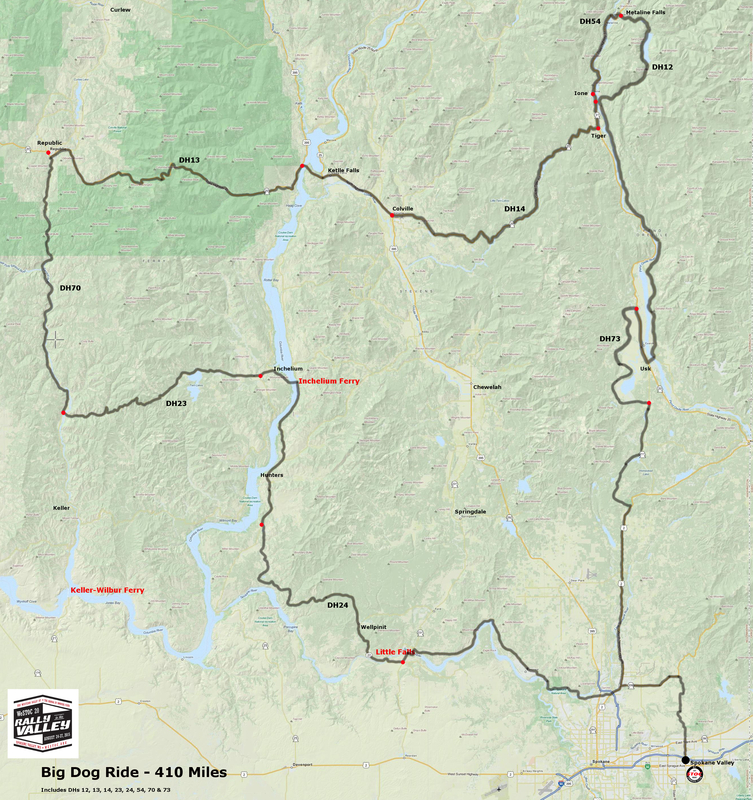 307 miles – The Joe out and back – 7 hrs 30 mins. 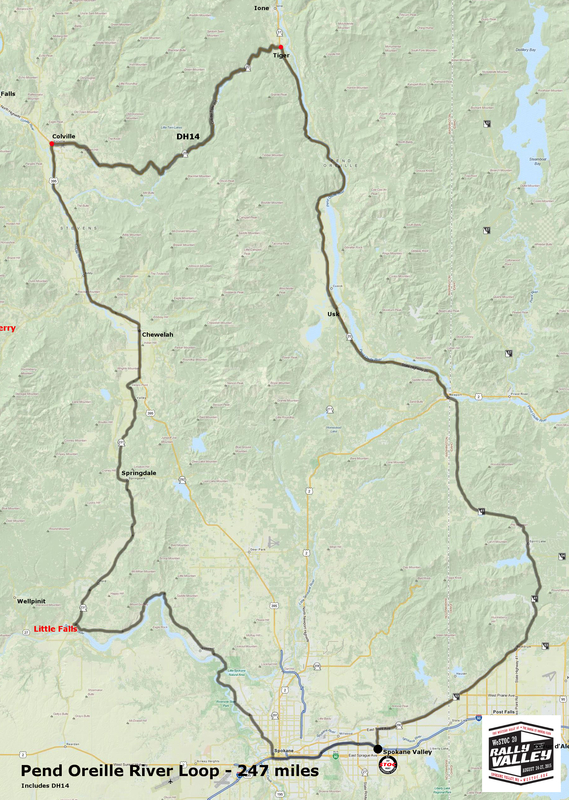 The St. Joe River Road is considered by many to be better than Lolo Pass, Hwy 12! 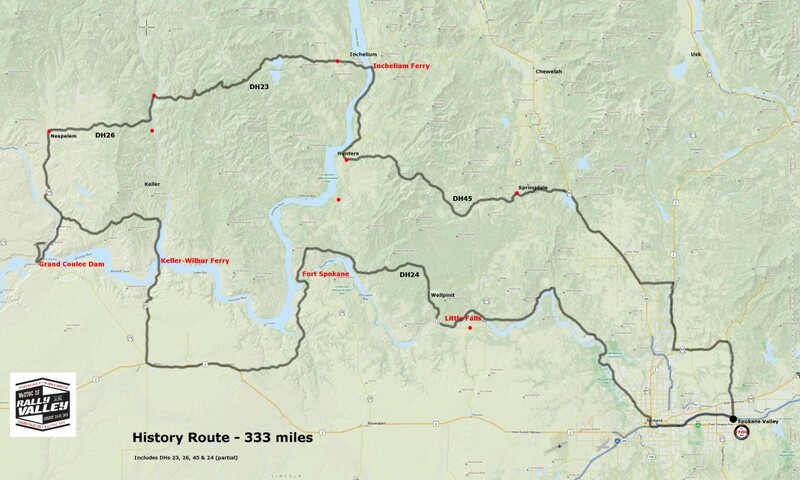 283 miles – Metaline Falls Ride – 7 hrs – STimpa route. Includes DHs 12, 54, 14 & 73. 247 miles – Pend Oreille River Loop – 5 hrs 30 mins – STimpa route – Includes DH 14. 176 miles – Saint Joe National Forest Loop – 3 hrs 50 mins.